Funding for early stage life science innovation is our missing piece here in Arizona. Join us at Trailblazers on Thursday, December 13th for a special announcement about the next step in AZBio’s strategy to fill in the missing piece. A tax credit approved by the Arizona Legislature to incentivize investment in early-stage bioscience and technology companies has proven to be a popular tool among local funders. The AZBio Trailblazer luncheon is this Thursday, December 13th. Don’t miss your opportunity to connect with friends during the holiday season AND build relationships with our elected leaders. Invest Southwest announced the call for applications for the 2019 Venture Madness Conference will begin December 14, 2018 and run through January 10, 2019. Life Science Companies gaining market traction are encouraged to apply. 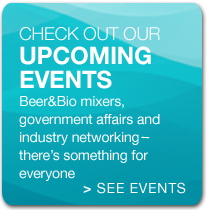 Visit the AZBio JPM Page for information on BIO Partnering, key events for networking with and pitching to investors. Join us on Sunday for the State Bio Friends Kick Off Reception at JPM. 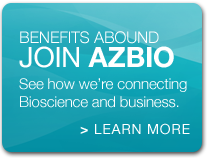 AZBio Members have the opportunity to lock in a significant discount on two premier registration packages for the 2019 BIO International Convention in Philadelphia, June 3-6: Convention Access and Convention Access & Partnering.Follow this link to complete the form. Registration for BIO 2019 is not required at this point. Simply complete the form, and you will be sent your discount code prior to registration opening in early January 2019. 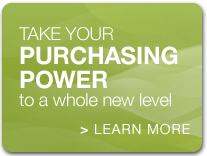 BIO Members receive complimentary session recordings following BIO 2019–a $300 value! Complete the form by Friday, January 18th to receive your discount code. Who’s Hiring? Click here to view 94 jobs. Do YOU have news to share with our community? Send your news and events to JKW@AZBio.org. Get Connected – Sign up today! All AZBio Members are welcome to join the AZBio Government Affairs Committee.